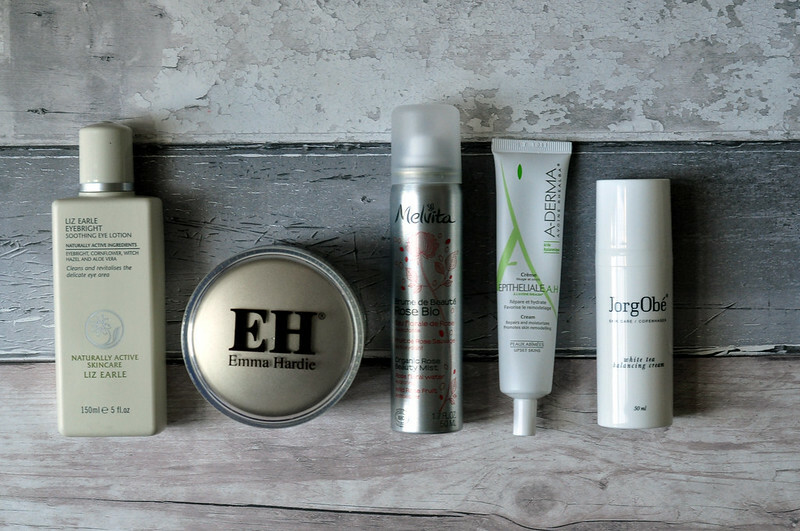 Liz Earle Eye Bright // Emma Hardie Moringa Cleansing Balm // Melvita Rose Water Spray // A-Derma Epitheliale A.H Cream // JorgObe White Tea Balancing Cream*. Carrying on from where I left off with last month, the start of December was absolutely horrible skin care wise. The eczema on my face was even worse and so irritated that nothing I had at home was able to calm it down. I had to completely stop with my skin care and all I was able to do was use a cold damp muslin cloth and another A-derma cream, not pictured. I ended up booking an appointment at my doctors to see if they could help which I am so glad I was able to cancel. For some unknown reason, I'm sort of putting it down to the A-Derma Epitheliale cream (thank you Jenny! ), practically overnight my skin was feeling smoother and less irritated about a week and a half into December. I'm still being extremely careful with my skin but I was finally able to cleanse properly and start back up with my skin care routine. I missed not being able to do it in full as I find it a really relaxing part of my night before going to bed. There's just something about washing away the day and applying a nice serum and moisturiser before bed. My mum is OBSESSED with the Emma Hardie cleanser! She LOVES it. I'm yet to try it, strangely, but I think I will do soon!